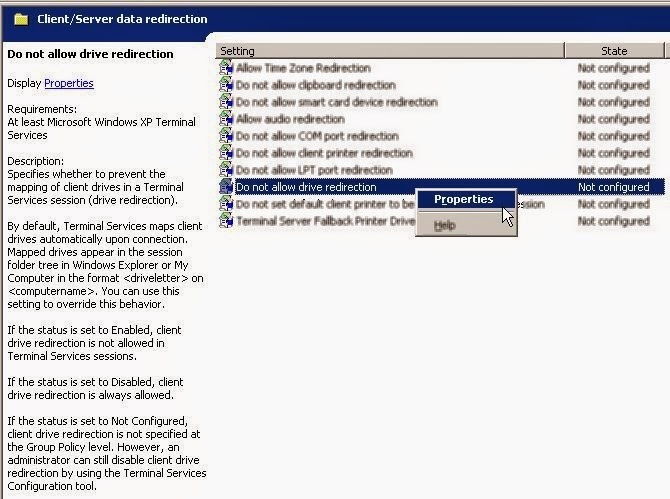 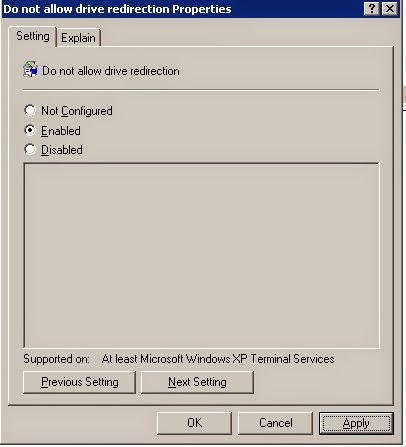 This post will show on how to disable local drive mapping via GPO for Windows Server 2003 environment. 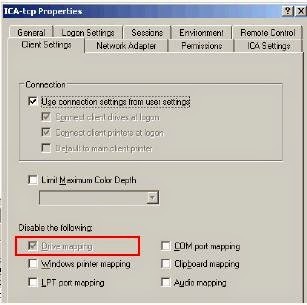 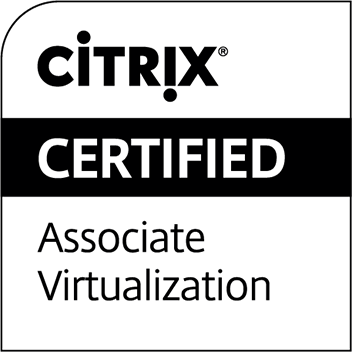 Considering GPO will take precedence over Citrix policy, this setting will work on both RDP and ICA sessions. 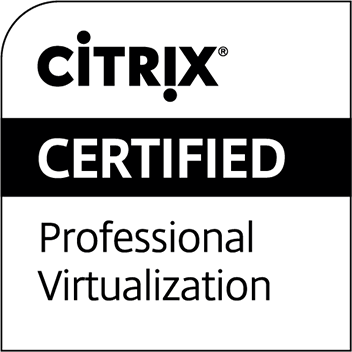 This will be the outcome. 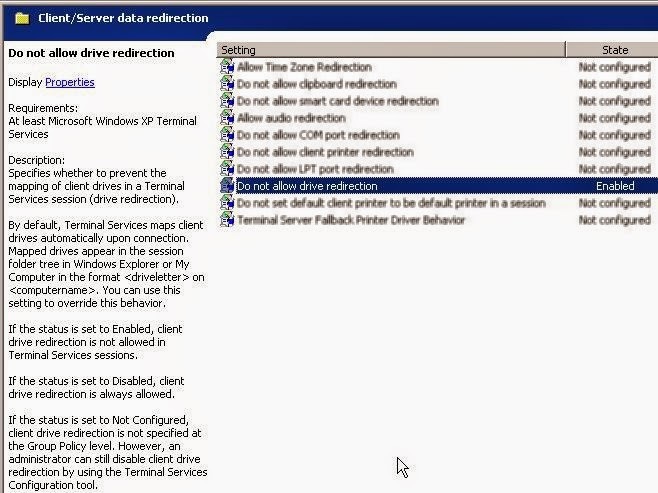 This is the explanation on this setting by Microsoft. 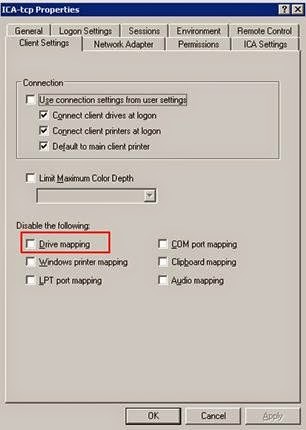 Drive mapping is now disabled, and users are not able to change it.